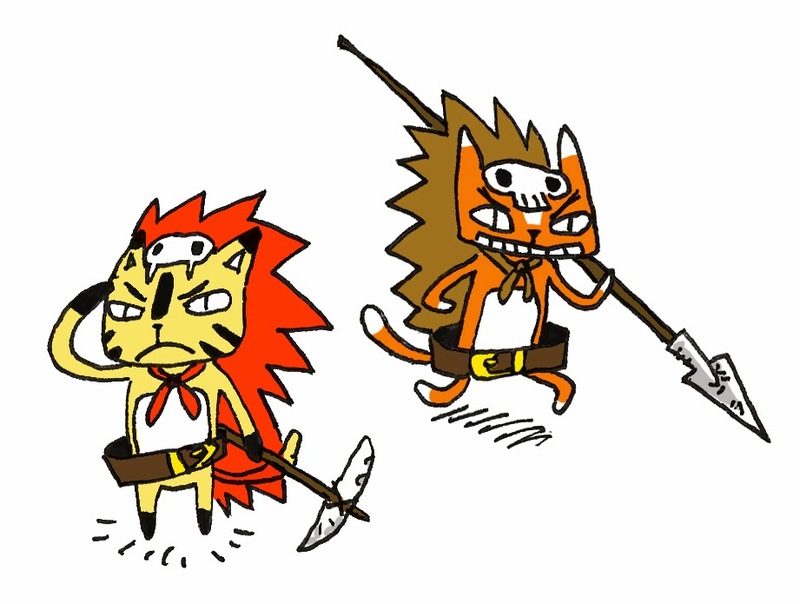 A bunch of mischievous cat like creatures that inhabit the forest. They wear animal skin for armour and a skull for helmet and usually wield a crude weapon made from stones. They always hunt in group of 3-4. Mostly hunt smaller animal like boars or snails. Monster skill: [Flanking] +1 to attack roll when attacking a target along with one or more attacker with Flanking. This effect is not cumulative. Designer's Note: If you haven't notice already - I add another stats called 'Ability' which represents the monster's average of Physical, Mental and Social abilities. Use this whenever the GM asked for Physical, Mental or Social test. I love this game and your art! Thank you! Are all of the Flower Kingdom resources published in one volume or is this in the works? I guess it is in the work.